The Cromwell Fire District operates a Communications Center located at the Court Street Fire Station. This is a state of the art facility that functions as the heart for all emergency and non-emergency communications for the Fire District. 911 calls are answered at the Cromwell Police Department, the Primary Answering Point (PSAP), and are transferred to the Cromwell Fire District Communications Center for calls requiring the response of fire or EMS personnel. All Cromwell Fire District Dispatchers are certified in Emergency Medical Dispatch and Emergency Fire Dispatch Protocols. These protocols are a series of structured questions and instructions that assist the Dispatcher with gathering the correct information about the emergency and relaying it to responding personnel. After processing the call information, the Communications Center alerts Fire and EMS personnel to respond via radio and monitors each incident. When more resources are needed, the Communications Center initiates these requests to Mutual Aid Fire or EMS agencies. 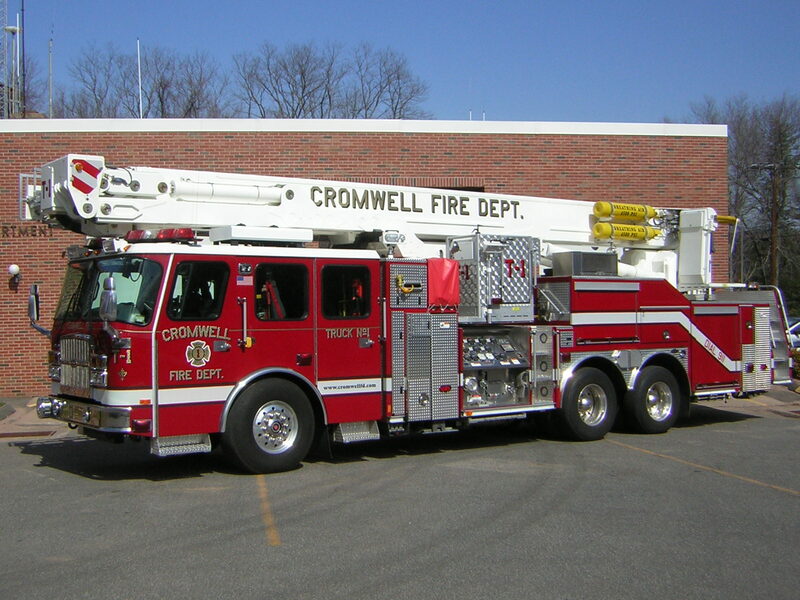 The Cromwell Fire District Communications Center also receives calls via many other sources besides 911. The Communications Center is the contact point for all of the Fire District’s services. Calls are received from alarm monitoring companies reporting fire alarms, CO alarms, and medical alarms. The Communications Center is responsible for alerting the District Fire Marshal when requested by citizens or Fire Personnel. The Cromwell Fire District also operates the Cromwell Water Division making Communications Center staff the answering point for any water problems or emergencies. The Communications Center also is equipped with security systems for all of the District properties including the Radio Tower, and Water Division buildings. The Center staff monitor these systems to enhance the District's Security. The Cromwell Fire District Communications Center is also the dedicated Communications Center for Task Force 51. The Cromwell Fire Department as well as the Berlin, Rocky Hill, Newington and Wethersfield Fire Departments are part of a regional task force that responds to large incidents within the five towns or to statewide emergencies when requested. The Communications Center is responsible for contacting these departments and tracking responses throughout the incident.